Since it's been so hot and humid lately, I wanted to make something cool. I figured cucumbers would be good, but I wasn't sure exactly how I wanted to prepare them. When I saw this recipe on Simply Recipes, it reminded me of a similar dish my mother used to make, so I thought I would give it a try. Plus, it's so simple and straightforward giving it at least a try was a no brainer. I threw in some chili flakes, but you could easily eliminate that if you wanted something completely cooling. 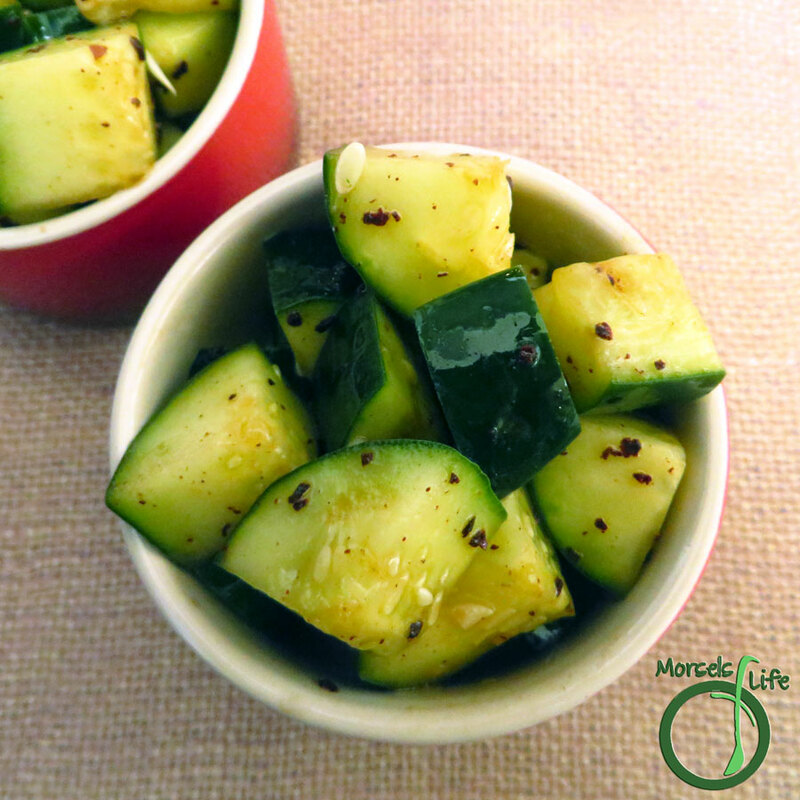 The sesame oil, vinegar, and of course, cucumbers are what give this dish a cooling and flavorful taste profile. 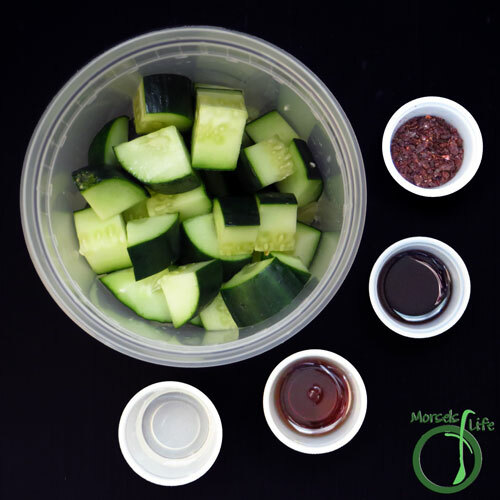 In fact, if you wanted, you could eliminate all the materials except sesame oil, vinegar, and cucumbers. It wouldn't taste as good, but it'd be far from bad. It also tastes just as good, if not better the day after, when the flavors have had a chance to mingle and mix. 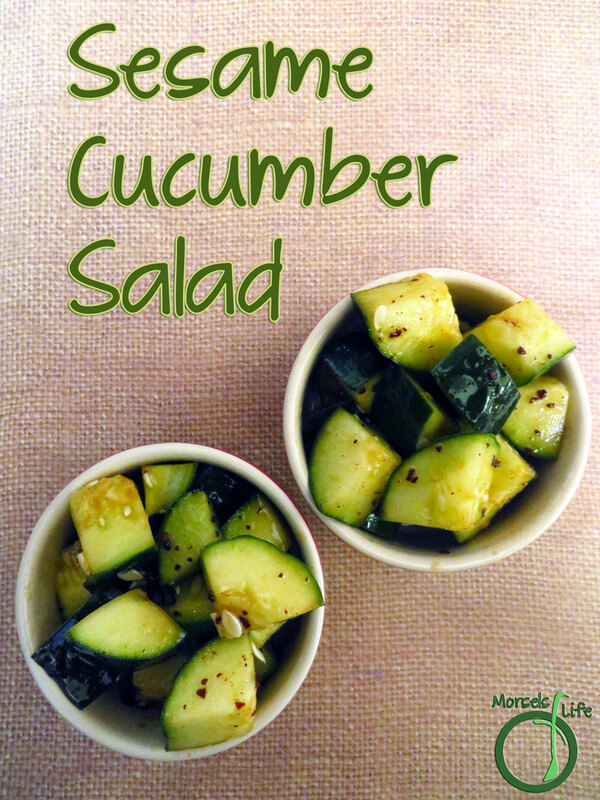 What's your favorite version of cucumber salad? 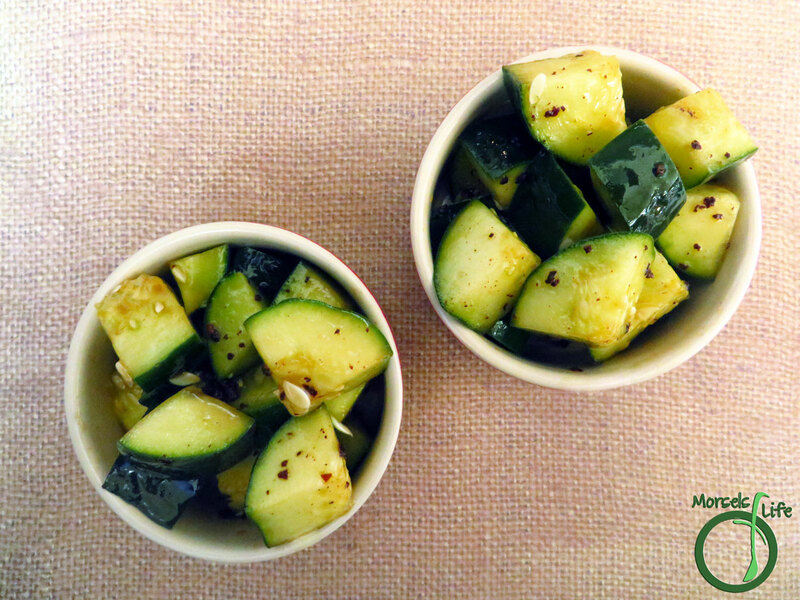 A quick sesame cucumber salad, flavored with sesame oil, enhanced with vinegar, and spiced up with chili flakes. 2 tablespoons vinegar I used rice vinegar but any should work, although I would not recommend plain white vinegar. 1. Gather all materials. Combine and shake the materials together. Serve cold. This dish can actually taste better after it’s sat around for a bit so all the flavors have time to mingle. Thanks for stopping by! Let me know how it goes – maybe you could share some of your favorite variations? I just recently acquired a taste for cucumbers. This sounds delicious! Thank you for sharing your wonderful post at #WonderfulWednesday. I look forward to what you will share next week! Do something special. Give yourself a standing ovation today! We hope you’ll come back again next Tuesday when we open our doors at 7:00 PM EST. Sounds great! I'll be sure to stop by. :) Thanks for the feature! I used to work at PF Chang's and we served a similar salad! So cool and refreshing with the right amount of "heat"
I love the flavors in this dish! Thanks for sharing on the What's for Dinner Link up! Quick and easy recipes are my favorite! :) This one's so refreshing too.